Walter Utke was a leader among leaders for those who played sports during the ‘‘Golden Age of Bristol High School sports’’ for coach Tommy M. Monahan in the 1930s. Prior to his high school years, he was a standout in baseball and basketball at Immanuel Lutheran School. He was a captain of the state champion 1934 Bristol High basketball team — which had its picture hung in the Basketball Hall of Fame in Springfield at one time — and a member of the 1933 New England championship team. The baseball teams he played for at Bristol High were among the best the school had. 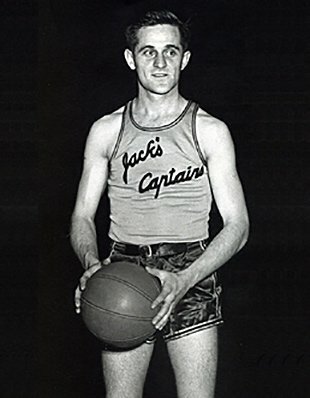 He played the two sports at Connecticut State Teachers College, now CCSU, and led the basketball league in scoring in 1936. He also participated in sports for a number of area teams before becoming a sports official, umpiring Twi-Light league baseball before becoming a Connecticut high school basketball referee.